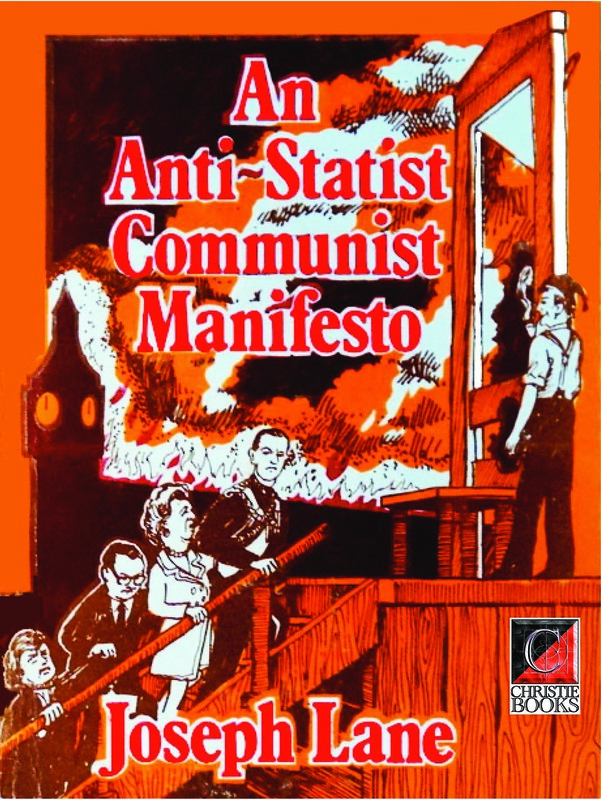 The manifesto was advertised in The Commonweal and later sold by the Socialist League, but it was not reviewed in Lane’s own paper. It was, however, reviewed by two other papers on the left. The collectivist socialist Our Corner, edited by Annie Besant, said: “Mr Lane is extravagant in many of his statements, but his pamphlet is quite worth reading” (August 1887). The anarchist communist Freedom, edited by Charlotte Wilson, said it was “an energetic and earnest exposition of Anarchist Socialism from a worker’s viewpoint” (August 1887): “But is it not a pity to use the somewhat clumsy title Anti-Statist rather than the more definite and expressive Anarchist? Why evade the fine old name that for years has rung out in the van of the Socialist movement throughout the world? … Let us bear our title of Anarchist proudly in the sight of all men”. Lane was in a difficult position. Like Morris, he was a convinced anti-parliamentarist but not a complete anarchist. Like Morris, he used the word as a synonym for individualist. Yet his position is hard to distinguish from anarchism. As Max Nettlau later commented: “His anarchism was the logical consequence of his consistent socialism.” There was no longer any need to avoid the term in 1887. Two American papers, The Anarchist and Liberty, had imported anarchism into Britain since 1881. Two British papers, The Anarchist and Freedom, had naturalised anarchism since 1885. The fourth Fabian Tract What Socialism Is (1886) gave anarchism the same status as collectivism. While Lane was writing An Anti-Statist Communist Manifesto, Henry Seymour was writing The Philosophy of Anarchism and Peter Kropotkin was writing the Nineteenth Century articles later reprinted as Anarchist Communism. Presumably Lane was reacting against the accusations of the parliamentarists that he was advocating mere anarchism, and possibly he was also reacting against the middle-class intellectuals who were advocating their anarchism. He remarked later: “I do not claim that I have expounded anarchy; it is for others to judge.” And he returned to the problem twenty-five years later in a letter to Ambrose Barker that praised not only the open anarchists but also the syndicalists for doing “good work among the Trade Unions in the same direction without frightening them with that terrible word Anarchy” (17 December 1912). Later in 1887 the political situation was sharpened by two dramatic events – the police riot known as “Bloody Sunday” in London, and the judicial murder of the Chicago anarchists, both in November. It is not surprising that the parliamentarist faction was finally driven out of the Socialist League at the fourth annual conference in May 1888; and it is appropriate that Lane helped to expose its intrigues, involving all three signatories of the majority report of 1887. But the Socialist League remained an unstable coalition, and the antiparliamentarists soon began to split between the anarchists and the rest, including Morris and Lane. Lane remained active for a time, though he was in bad health, helping to organise a new East End Socialist Propaganda Committee in spring 1888 and a Chicago Commemoration Committee in autumn 1888. But in May 1889 he quietly resigned from the Socialist League, and in November 1889 he just as quietly ceased to be named as publisher of The Commonweal. Morris tried to change his mind, writing: “I always looked upon you as one of the serious members of the League” (21 May 1889). Morris himself left in 1890, and the League was dissolved in 1895; Lane’s old press went to the Freedom Press, which used it until 1927.